There’s one thing you can count in Wisconsin during the winter – snow and ice. You can also count on Armored’s professionals to be there to clear a path so you can get where you need to go. Life doesn’t stop just because it snowed; you’re still needed at work and your kids have to go to school. Don’t worry about getting up early to shovel your driveway, or wasting hours of your night digging your vehicles out. Let us handle the hard work for you. Fill out our contact form or give us a call at 262-515-4150 for pricing on our winter services! 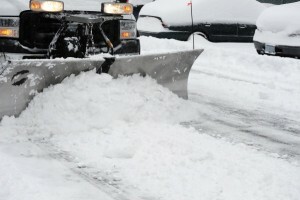 Armored Sealcoating offers winter services – plowing and salting – to commercial and residential customers throughout Racine and Kenosha County in Wisconsin, as well as the northern areas of Lake County, Illinois. 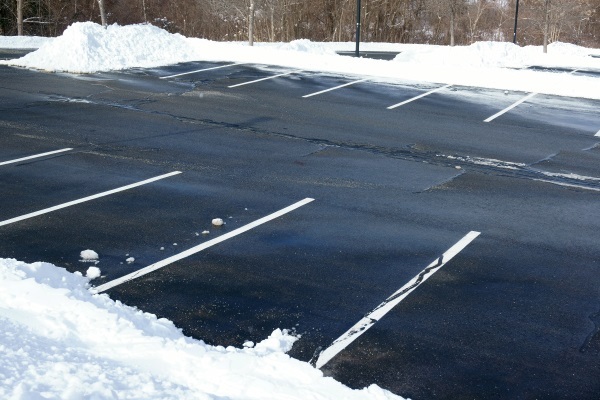 Our snow removal experts clear snow from driveways, parking lots, and sidewalks at stores, office buildings, restaurants, schools, apartment complexes, and more. We’re also happy to handle residential driveways, big and small. Ice is often the cause of unnecessary injury; so we thoroughly salt all affected areas after plowing and shoveling to help prevent related slips and falls. Our specialty is seal coating and asphalt maintenance; but that’s a seasonal service. In the winter, when it’s too cold to seal coat, our incredible professionals lend their equipment and time to snow plowing. Trust Armored to properly clear your driveway and/or parking lot of snow and keep business moving as normal. Contact us to learn more about our winter services!